The community of Breamridge is centrally located and convenient to the new Publix Shopping Center, community parks in Alpharetta, and the popular Historic Crabapple area of Alpharetta where shopping and restaurants are found. 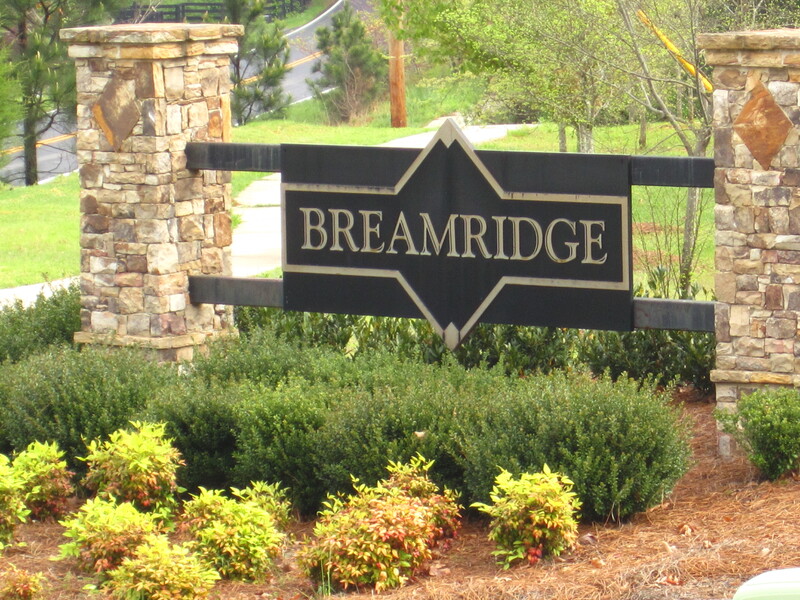 Breamridge is an estate community of newer homes built by Fuqua / Newman. The Best North Fulton Schools! The average list price for a home in Breamridge is between $485,100 to $785,000. Most homes built between 2005 to 2011. The community of Breamridge is not a swim and tennis community but you will find many area parks and golf courses near by. Streets in the community include Bream Drive and Slide Court. Directions: 400 NORTH TO OLD MILTON PKWY. TURN LEFT ON OLD MILTON. CROSS HWY 9. ROAD BECOMES RUCKER RD. GO RIGHT ONTO MID BROADWELL RD. BECOMES HWY 372. GO APPROX 6 MILES. JUST NORTH OF HICKORY FLAT/ BIRMINGHAM ROAD. BREAMRIDGE ESTATE COMMUNITY IS LOCATED ON THE RIGHT. This entry was posted on Sunday, April 15th, 2012 at and is filed under 30004-Zip Code, City Of Milton, North Fulton Community. You can follow any responses to this entry through the RSS 2.0 feed. Both comments and pings are currently closed.